Learn more about how Hartford's standard Broad Coverage and Extended Coverage options are designed to help better protect your business and maximize coverage value. Or give us a call at 888-611-7467 to learn how The Hartford can help your small business. * See detailed coverage explanations and examples below. 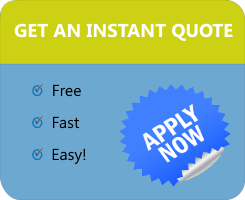 We've partnered with The Hartford to deliver instant small business insurance quotes online, in about 10 minutes. Prefer to have one of our Specialists shop your coverage with more insurance companies? A store owner is preparing for an employee workers compensation claim hearing and needs to be away from the store. Therefore, the owner schedules an additional store employee while they are out. The expense of paying the additional staff during this time frame would be covered. A thunderstorm strikes unexpectedly and a shop owner needs to move merchandise inside right away. A friend or casual employee helps to move the merchandise and injures her back. The injury is covered. A sales rep is on their way to a seminar or sales meeting and driving through a monopolistic state such as Ohio, Washington, North Dakota, or Wyoming. The driver has an accident due to faulty breaks and files a suit in Ohio against the employer claiming negligence. The employer is covered with The Hartford. A consulting firm is working on its first out-of-state job on the effective date of the policy, but forgot to notify his agent until 60 days after the job started. Coverage would still be in effect because the policy endorsement extends the reporting requirement from 30 to 60 days in any state as listed in Section 3A of the policy information page. A restaurant owner dies and one of his children and legal representatives takes over management until she can find a buyer for the business. The Hartford does not learn about the owner's death until 60 days later because a claim is filed. However, since the reporting requirement is extended from 30 to 60 days under the Broad Form, the claim is not an issue. An employer's policy is cancelled during an agent's busiest month. Since The Hartford advance notification of cancellation is 15 days instead of 10 days, the agent has more time to find replacement coverage for the employer. An employee injures himself and believes the manufacturing company he works for negligent because some equipment was not functioning properly. The employee seeks damages through tort law suing for $500,000 in damages. 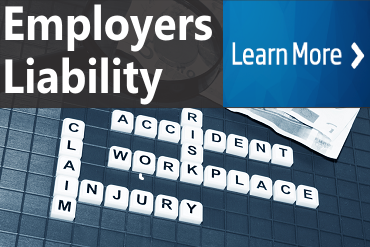 The workers compensation extended coverage option with increased limits of $500,000 for bodily injury by accident/each accident will cover this exposure (as compared to the $100,000 limit for the industry standard). An employee get burned with a hazardous chemical while cleaning a storage area. The employee was not aware that the chemical was still on the premises, and, therefore did not specify it on the Acord 130 application. Because the employer did no intended to misled The Hartford, the claim is covered. A wholesale distributor delivers goods to a retail chain that requires the wholesaler to waive its right to recover against them if their employee is injured in the store. The Hartford's extended coverage form allows the wholesaler to waive its rights to recover and continue to act as a supplier. The VP of marketing for a fast growing franchise makes her first business trip to South America to speak at a franchise conference. Workers compensation coverage is still in place under The Hartford's extended coverage. A restaurant caterer has an employee injured while serving dinner on a yacht, rented for a dinner party. The extended broad form endorsement provides coverage for the potential Longshore and Harbor workers compensation exposure of the employer. The Hartford was founded in 1810 and employs over 17,000 professionals throughout the United States. There annual revenue is approximately $18 billion and they have more than 100 offices throughout the U.S. The Hartford consistently ranks in the top 3 workers' compensation insurance companies based on direct written premium and is one of the largest carrier in the country. They are in the top 10 in nearly all major P&C categories. The Hartford provides coverage for over one million small to mid-sized businesses and has won numerous awards as one of the world's most ethical companies by Ethisphere Institute. They are a Fortune 500 company. At Workers Compensation Shop.com, we're passionate about helping employers and believe great partners, like The Hartford, add real value for our customers. Very few insurance companies offer value-adding extra coverage options like The Hartford does. Find out if your business qualifies for a quote from The Hartford today. Get an instant online insurance quote, or give one of our Specialists a call today at 888-611-7467.